Potatoes are a tuber from the nightshade family. It is one of the most widely grown vegetables world wide. Why is it good for my body? Potatoes contain no fat, sodium, or cholesterol and they are low in calories. Combined with the fact that they are high in vitamin C, potassium, vitamin B6, and fiber; the humble potato is a good part of a healthy diet. Where does it come from? 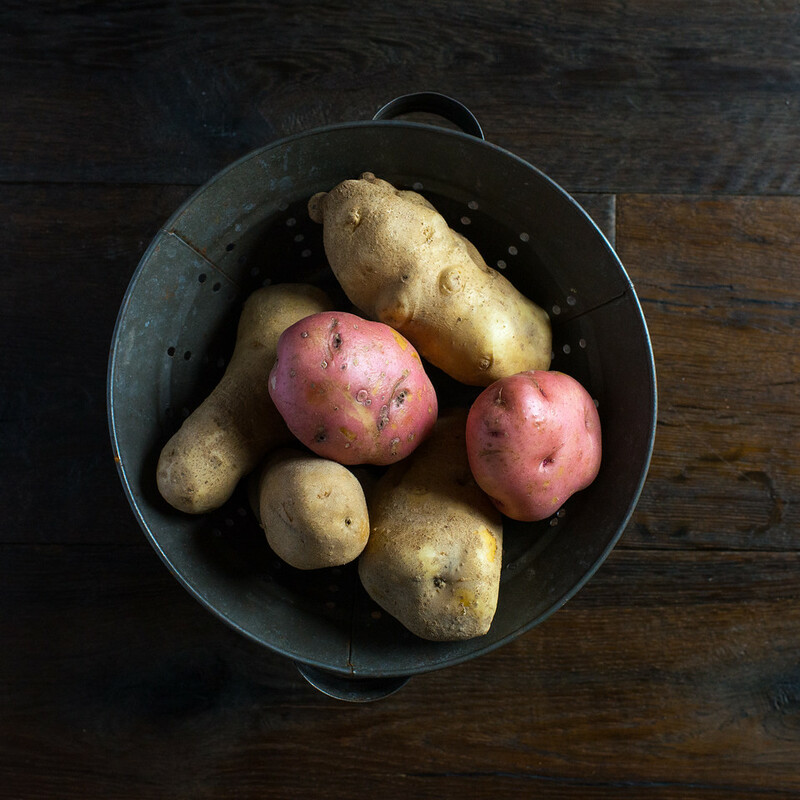 Potatoes are native to South America and were brought back to Europe by Spanish explorers. This crop was historically helpful to protect against famine if grain crops failed. What season is it fresh? Farm fresh potatoes are in season mid-summer to late fall. Potatoes are available year round in grocery stores. How do I store and handle it? Store your potatoes in a well ventilated container, in a dry place and not in direct sunlight. Do not leave them in plastic bags or store them in the refrigerator. Do not eat potatoes that are green or have begun to sprout eyes. What are ways to eat it? Potatoes can be used in many ways. They can be baked, roasted, fried, mashed, and put in soups and stews. How do I introduce it to first-time tasters? Mashed potatoes are a perfect first food.